More than 13,000 islands make up Indonesia, the largest island country in the world. You might be looking for a paradise beach, or temples and colour. If you're looking for an island paradise, with brilliant snorkelling, away from the traffic of Bali, why not give Lombok and the Gili Islands a try. Relax with a cocktail or discover hidden waterfalls, you can be as active as you choose. Perfect for little people too. Click for a little insight into our weekend away. Below is an outline guide for a two week trip to Singapore and Indonesia. It involves a lot of travel, and while we enjoyed the trip with a six year old and a three year old, it might not be everyone's cup of tea. It is possible to hire a car and drive though Java yourself, but the traffic is horrendous and we strongly advise you to hire a local driver. Not only does this make the trip more enjoyable, but drivers make excellent tour guides as well. It also gives you the option to take a train for part of the journey to view life through a different window. Exchange rate: Rp 10,000 is approximately US$1. Please check for current rates. Day 2: Singapore: Walk along Orchard Road for a leisurely breakfast. Trip to the zoo. Day 3: Singapore: Bus along Orchard Road to Raffles Hotel for a pre-lunch Singapore Sling in the Long Bar. Walk to Esplanade through the Chimes Cloisters. Circumvent the Marina and cross to the Marina Bay Sands shopping centre via the Helix bridge. Dim sum and noodle lunch in the food court. Walk through the shopping centre and take lift to walkway that takes you through Marina Bay Sands Hotel and out the other side to the Garden by the Bay. Walk back to the Helix bridge and have a beer overlooking the Marina. Complete the loop of the Marina and navigate the back streets to Clarke Quay for dinner. Day 4: Fly to Jakarta. Three hour drive, with lunch stop, to Bandung. Day 5: Hire a driver through the hotel (Rp 500,000 first five hours plus Rp 60,000 per extra hour). Visit volcano crater at Tangkuban Parahu Natural Park (Rp 15,000 per car, plus Rp 50,000 per adult, plus Rp 300,000 for the guide), bathe in hot spring water at Ciater (free with lunch at Caiter Spa Resort) and watch music and dance cultural performance by Saung Angklung Udjo (Rp 100,000 per adult, Rp 60,000 per child). Day 6: Train from Bandung to Yogyakarta (Rp 220,000, executive class, eight hours). Day 7: Hire a car and driver through the hotel (Rp 600,000 for five hours) to visit Borobadur temple (Rp 190,000 per adult, Rp 95,000 per child), stopping at silver workshops en route. 1.5hrs from Yogyakarta. Day 8: Ten hour road trip to Malang via hill top temple of Candi Sukuh (Rp 1,900,000 car hire, Rp 10,000 temple entrance fee). Day 9: Early morning sunrise trip to Mount Bromo, organised by Hotel Tugu (around Rp 500,000 per person). Day 10: Drive from Malang to Kalibaru (Rp 1,300,000 car hire with driver). Day 11: Drive from Kalibaru (Rp 600,000), ferry to Bali (Rp 6,000 per adult, Rp 5000 for children), drive to Nusa Dua (Rp 700,000). Day 12: Sit by the pool and recover. Enjoy a Bintang beer or two. Day 14: Shell seeking on the beach, Nusa Dua, Bali. Lonely Planet Indonesia, Lonely Planet Malaysia, Singapore & Brunei. 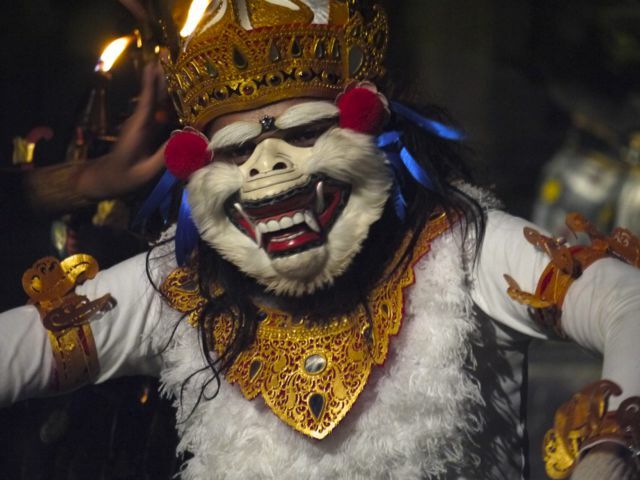 www.indohoy.com - Indonesian insight from local experts. Indonesia is a family-friendly destination, but caution and an element is awareness is always necessary. The country is densely populated and crowded. Poverty is a problem in some areas, and touts and peddlers are game to entice you to buy their goods. Check your medical vaccinations are up to date. The MASTA website is a good place to start (http://www.masta-travel-health.com). Malaria tablets are also recommended in rural areas. As for food recommendations, mie goreng (noodles with prawns, chicken and vegetables), nasi goreng (rice with the same) or sate ayam (chicken sate) are all delicious, but don’t be tempted by the street food. Freshly cooked chicken sate might look appetizing, and it’s certainly authentic, but the chicken is likely to have been sitting uncooked in an unrefrigerated glass box for goodness know how long, and in this humidity, bugs grow fast. · Indonesia is ethnically diverse and so is the language. However, people will appreciate you even attempting to say thank you (terima kasih) in Behesa, the unifying language in Java. · Don’t expect to get anywhere fast. Java and Bali are not huge islands but with narrow roads, slow lorries and mopeds weaving like ants you don’t often get above 40kph. Thanks to Al Futtaim travel, and their local partners MarinTur, who helped to organise our travels. For more details contact http://alfuttaim-travel.com. 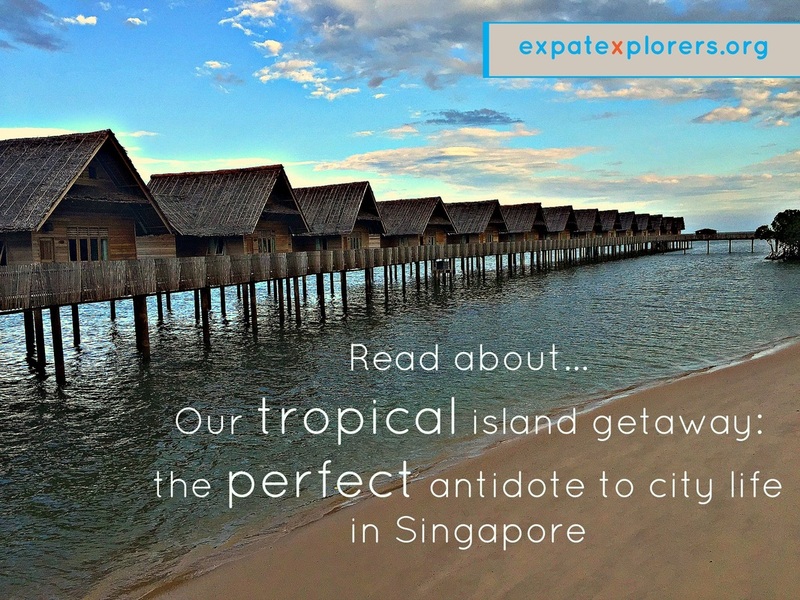 Need an island getaway from Singapore? How about the Riau Islands? Click for an insight into our antidote to city life.